When I saw this special at Driggs Pizza (whose Famous Grandpa pizza is outstanding, by the way) I couldn’t resist documenting for posterity. 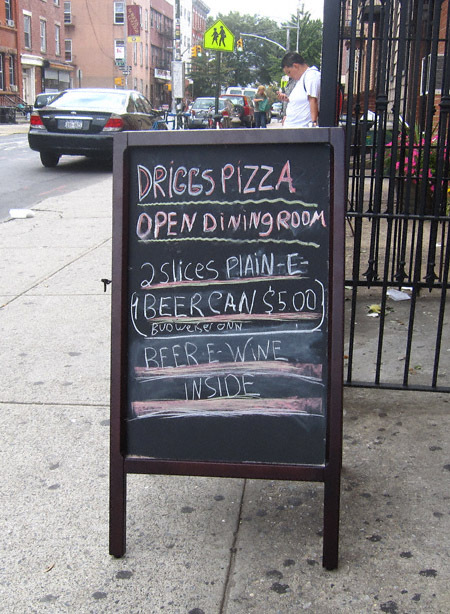 Granted, it’s not on the par of the “President Obama Special” but the offer of two slices of pizza accompanied by “1 Beer Can” (Budweiser only) is an enticement I can honestly say I have never seen before. Okay, but what’s “E-Wine”, or don’t I want to know?! OMG I love Grandpa pizza! You’re the only person I ever heard mention it! I love both the Grandma and the Grandpa slice, though I have not had them at this particular establishment. 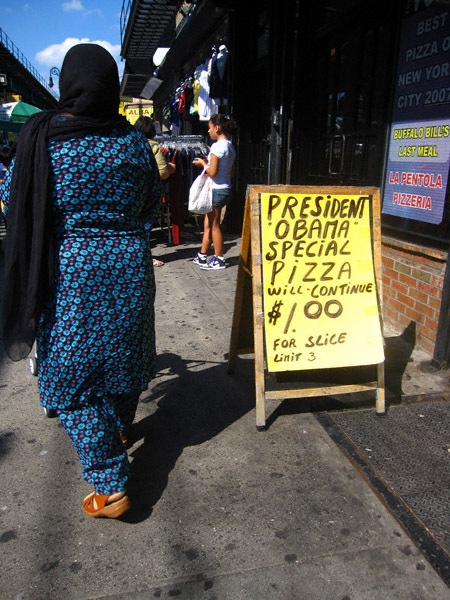 That being said, this is quite the recession special. When the weather gets cold get their Famous Grandpa. OUT. OF. THIS. WORLD.